I don’t get to watch too many television shows, but Grey’s Anatomy is one show that I’ll find time to watch. I had an opportunity last week to speak with one of the leading actresses of Grey’s Anatomy, Sarah Drew. 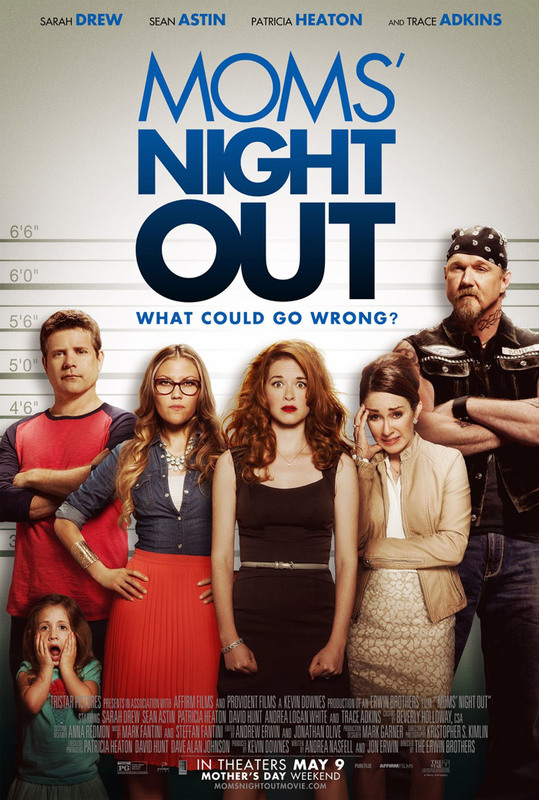 Sarah, who plays Dr. April Kepner, is also starring in a soon-to-be released movie, Moms’ Night Out. Watch the trailer. You’ll see that much does go wrong for these moms! If you are unable to view the video, please copy and paste this url on your browser http://www.youtube.com/watch?v=Leb6Vnhbp1A. Alternatively, click HERE. I told Sarah that even with a short sneak peek of the movie, I can relate so much to the young mom she portrays. After watching the trailer three times, and laughing out loud all three times, my 7-year old daughter also agreed. She saw the similarities of Sarah’s character and said to me, “Mom, you TOTALLY need a moms’ night out.” I promised her I would plan one of my own very soon. I wanted to know more about the movie and also wanted to ask Sarah some questions about her thoughts on motherhood. Here is what we were able to talk about. Sarah doesn’t just play Mom on the big screen. She is Mom to a two-year old boy and knows motherhood well. Motherhood is an overwhelming job. It’s important to remind moms that their job is important, because they are the ones who pour life into their child. Knowing what a big job being a mom is, Sarah’s offered some advice for other moms. Take a break when things get too overwhelming so Mom can be ready to tend to little tiny people they live for. Take a minute, 20 minutes, an hour. Take time for self-care. It’s important to get out of the house to then come back with a well of energy. Too often the mom’s guilt is so great that we don’t take that break but look for something else to do, or fix, or clean. When we do that, we can’t be there for husband, child, or for ourselves which is why self-care is important. It’s hard for moms to do that, me included. It’s hard especially when we’re surrounded by other moms who we may think are better than we are. When we compare ourselves to other moms, like the one who bakes the perfect cupcakes for every holiday . . . we can’t be like that mom, nor should we be. 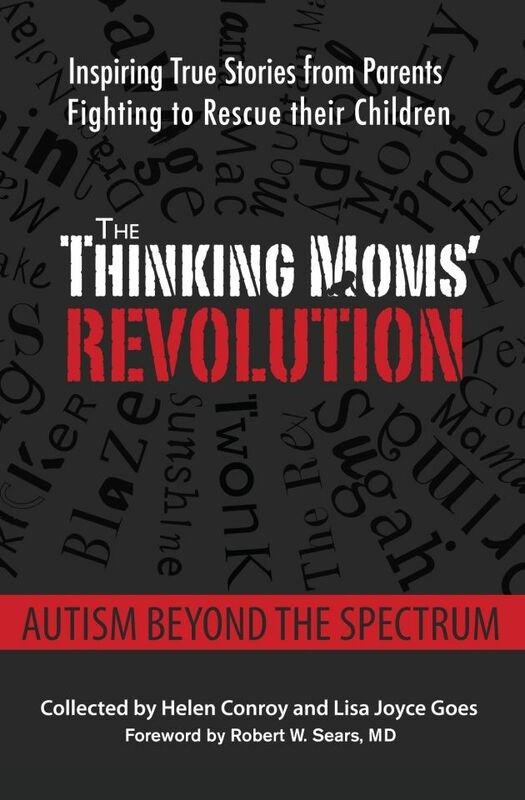 We were already a few minutes into our conversation when I mentioned to Sarah that many of our readers here at The Thinking Moms’ Revolution are parents of children with special needs, including children with autism. I asked Sarah if she had any specific advice for moms in the special-needs community. For special-needs moms, I know there is an added level of difficulty to create time for self. It’s all-consuming to be a mom (of a typical child) and all-consuming for special-needs moms, but with the added needs of their child who requires extra care and attention. I appreciated that she understood that extra care and attention are needed. It was here that I took a minute to say that I am the first one to forget to ask others for help and probably the first one who could use a break! 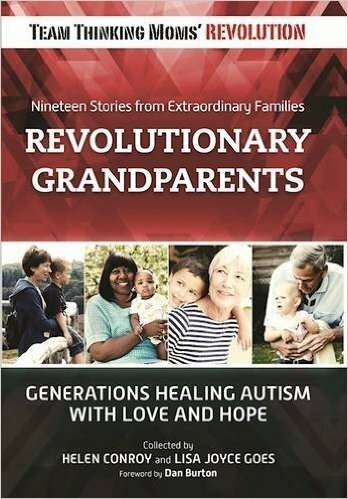 It was also here that I was able to share a little bit about my son Ronan, whose vaccine injury lead to his autism diagnosis, and that he’s the one who’s turned me into the advocate that I am today. It hasn’t always been this way. In the beginning I didn’t feel fully ready to parent him. I knew that other moms could help me, though, and reached out to those moms. I am more confident as a mom now, but I sometimes still experience days that have me feeling both physically and emotionally run down. I didn’t expect to receive personal advice from Sarah Drew about special-needs parenting, but I did. I asked Sarah if she knew other moms like me who had children like mine and if any special needs moms had offered any input in the Moms’ Night Out audience screenings they’d had so far. She did not, but she was able to tell me the story of a mom who has a young daughter with Down syndrome that lifted my spirits. Sarah shared the story of Amy Julia Becker and her daughter Penny. Amy Julia has been honest about the initial struggles she went through when she learned of Penny’s Down syndrome diagnosis. Describing the range of emotional reactions, including what she dealt with when people made insensitive comments and remarks about her daughter to seeing life through Penny’s eyes, is what Sarah called a humbling view. I had to agree. I explained to Sarah that Ronan was typically developing and part of me, well, a lot of me, clings to that fact. I’m always hoping that we can find that typical development again, but in the same breath, I always wonder if I wouldn’t struggle so much with my emotions had Ronan had an autism diagnosis from birth instead. Hearing that, Sarah encouraged me to find Amy Julia’s blog and to also read her book, A Good and Perfect Gift. 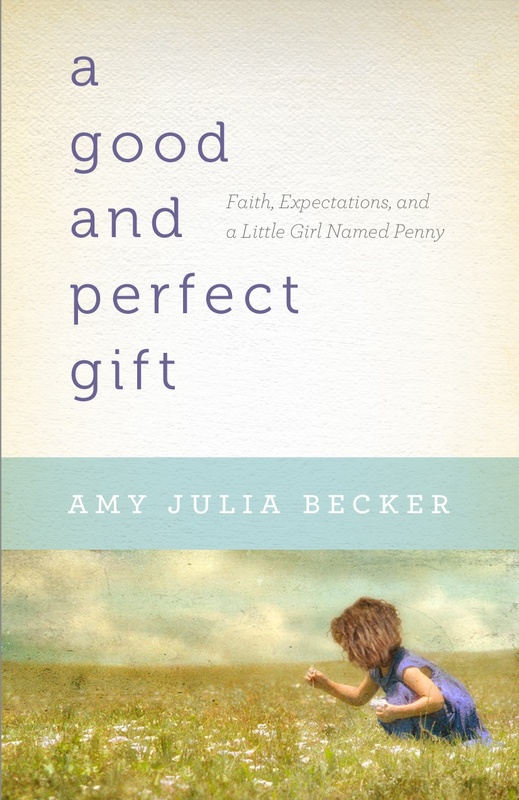 In the book, Amy Julia illustrates the transformation she had as Penny’s mother. I appreciated that Sarah took time to tell me Amy Julia’s story. We had much to cover in the interview, but taking a few extra minutes to speak directly to me was very thoughtful. I promised Sarah that I would find the book and read it as it sounded perfect for where I am right now in my life. Our conversation circled back to how important moms are, that we can all learn something from each other, and that, of course, all moms need a break every now and then. I wanted to talk about one more thing before saying good bye. I asked Sarah about a recent comment she made in an interview on Fox News, because what she said resonated with me, especially after I was able to share how I, and so many of us Thinking Moms, have had to speak up for our children. I think that perfectly sums up what a lot of moms find themselves doing on behalf of their children. I was thrilled to have the chance to speak to her and talk about as much as we did. I’ll leave you with one of the last things Sarah Drew said. 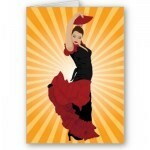 I think what Sarah shared crosses over for all moms. I know that it’s true for in our community of Thinking Moms as we have been able to connect with so many others on behalf of our children. In sharing our stories, in writing our blogs, in reaching out to others when they feel like they have nowhere else to turn. We are connected and should work together to enjoy all that life brings us. We wrapped up our conversation, and I thanked Sarah for taking time to share with me what she’s done in Hollywood. I told her I was especially looking forward to seeing her next in Moms’ Night Out as it sounded like a fun tribute to moms everywhere. I’ve already sent the word out to a few of my local mom friends that we must go see the movie when it premieres. Until then, I’ll be keeping up with the movie’s latest news and events through their FB page. And most importantly, take time to remember that what we do as moms is important. This entry was posted in Blogs by Thinking Moms' Revolution, Mamacita TMR and tagged A Good and Perfect Life, Amy Julia Becker, autism, Cathy Jameson, Grey’s Anatomy, Mamacita TMR, moms, Moms’ Night Out, Mother's Day, motherhood, Penny, Sarah Drew, The Thinking Moms Revolution, TMR. Bookmark the permalink. 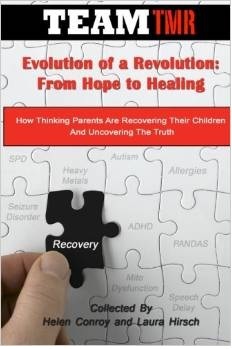 Great interview our son Gabriel has nonverbal autism it was do to vaccines as well. I love sarah drew and mom’s night out is one of my favorite movies ans I love Greys Anatomy but was sad when I heard they let go sarah and Jessica stupid move. Oh, well then, now that you’ve told us, we’ll just forget everything we’ve seen, everything we’ve read, and everything we’ve experienced. Thanks for finally opening our eyes. Now for anyone who’s actually interested in truth, take a look at the VACCINE INJURY TABLE (the injuries that are ACKNOWLEDGED because the evidence was so overwhelming they couldn’t pretend the vaccines didn’t do it): https://www.hrsa.gov/vaccinecompensation/vaccineinjurytable.pdf. You might be interested in knowing that so many children were getting hurt that vaccine manufacturers asked for and got blanket immunity from any harm their products did in 1886. Not surprisingly, that resulted in a HUGE explosion of “recommended” vacccines. You might also be interested to learn that over 1300 children have been compensated for devastating brain injuries, and when investigators tracked down approximately 200 of them, 40% volunteered that their children had autism. http://digitalcommons.pace.edu/cgi/viewcontent.cgi?article=1681&context=pelr But, hey, clearly YOU know better than anyone. *eyeroll* Maybe you ought to stick around. You might learn something. Getting out is refreshing and very much needed. Even with how busy we Moms are, it so important to take care of ourselves. So glad your night out was fun!